Brixton may not conjure up images of romance but it’s been developing fast over the past few years so it’s not one to overlook. The area around the classic Ritzy cinema has been completely redeveloped and now regularly plays host to small festivals and events. 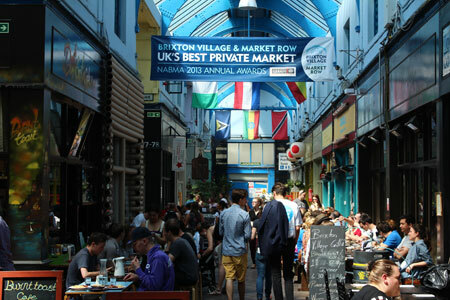 Brixton village, a once dilapidated shopping arcade is now a super trendy restaurant hotspot and Brixton’s bars and clubs are some of the most fun and vibrant in London. So Brixton for a date? Sure, why not. Read on and we’ll tell you about all the best places to go. Brockwell Park is one of South London’s best parks, never too busy on a hot day and perfect for a picnic. You can get a good view of London from the top of the hill and Brockwell Lido is, in our opinion, the nicest lido in London. It also has the award-winning Lido Cafe that serves truly delicious food. 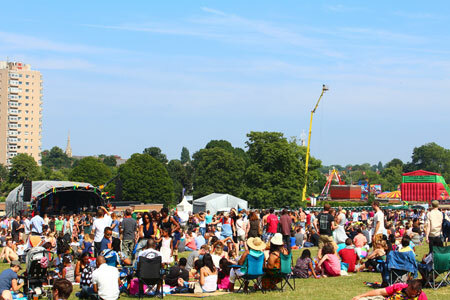 Brockwell Park also plays host to Lambeth Country Show which is an awesome event in the summer. You’ll find jerk chicken, cider, a fairground, live music, endless cake stalls and a petting zoo. What more could you want? The Ritzy is Brixton’s iconic Picturehouse cinema, having been lovingly restored. Screen 1 makes you feel like you’ve gone back in time with is fantastic architecture and 1930s seats. 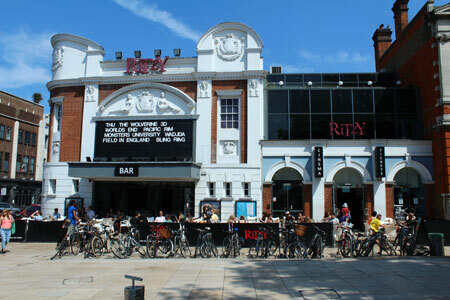 The Ritzy also has a fantastic bar and shows mainstream as well as art-house and independent films. Brixton Windmill and gardens sits on Brixton Hill next to Brixton Prison. There are guided tours of the mills but booking is advised as they only run on specific dates. A windmill isn’t something you’d expect to find in Brixton but windmills in Lambeth were once a common sight in the 18th and 19th centuries. The windmill tours and activities are more focused at families but if you are after some history it’s worth checking out. The White Horse pub is also close by and is good choice for a drink and bite to eat before or after. There are loads of excellent places to visit – if you have a favourite please let us know. Brixton is a vibrant and exciting London hotspot with a slightly gritty edge to it. It’s got loads to offer both day and night and is full of pubs, bars and clubs that will suit everyone’s tastes. 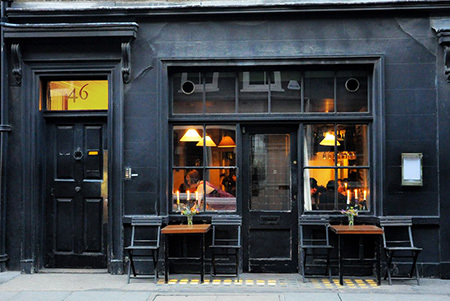 The Whitehorse is a comfy and funky pub that serves cheap and tasty food. It’s laid back in the day but hots up in the evening, staying open until 3am. The Dogstar pub, sitting on Coldharbour Lane is a Brixton institution. It has three floors and is a firm favourite of clubbers with its cool urban vibe. Get there early to avoid the door charge. The Hootananny is one of our all-time favourite London nights out. 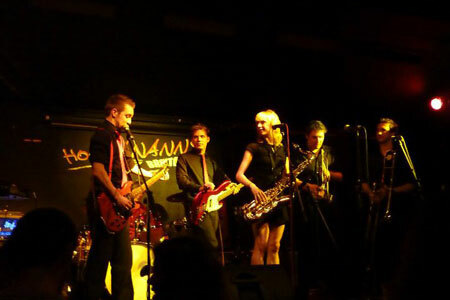 It has live music and plays host to London’s new and upcoming bands as well as classic ska and reggae acts. Plus outside there’s a pizza oven, Mexican stand and jerk chicken stall which means you can satisfy those drunken cravings without having to end the night. Mango Landin is also just around the corner from the Hootananny and serves well priced cocktails against a backdrop of Northern Soul music. It also gives you the chance to thrash your date at table football. Seven at Brixton situated in Brixton Market Row offers up some of the best cocktails in Brixton for the bargain price of a fiver. Serving delicious tapas and pintxos, Seven is an excellent choice for a date. Get there early as it gets very busy late on. 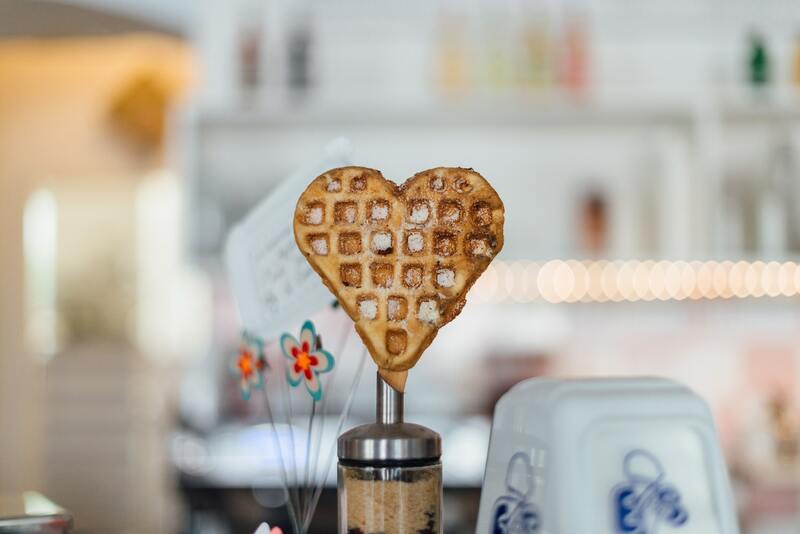 Kaff Bar offers a warm and relaxed environment and is a good choice for a date day or night. It has comfy sofas and in the daytime serves good quality coffee and food as well as offering free Wi-Fi. It livens up in the evening offering cheap beers, wines and cocktails. Try the 10p mix cocktail which comes with a bag full of twizzlers and flying saucers (though not actually 10p but a fiver). If you know any other awesome things to do in Brixton then please let us know by commenting.